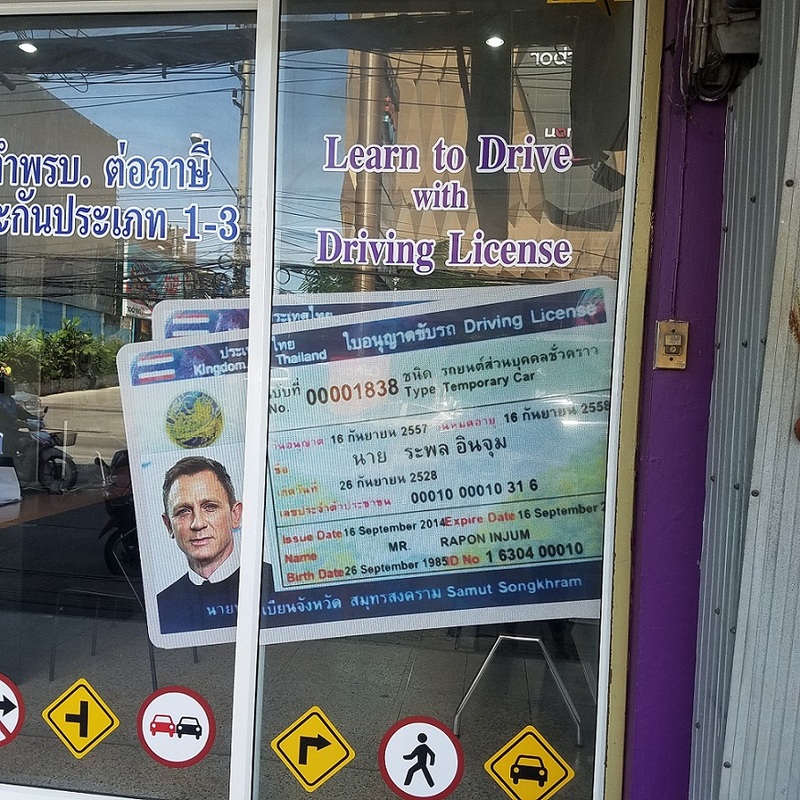 If the school is good enough for 007 to get his license there, then this is where everyone should go !!! AND you can bet they are paying him a royalty fee, to use his likeness !! HA! HA! HA! Was on Pattaya Klang across from Foodland, saw it this morning. Does one receive a discount if you bring your Aston Martin?